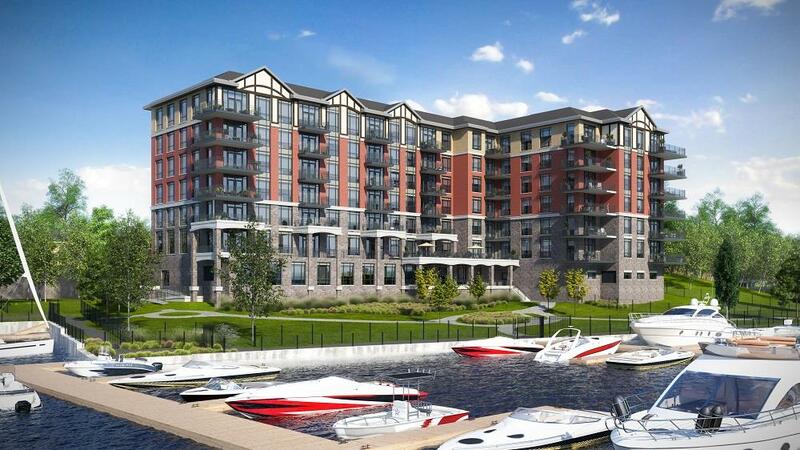 Now that Phase 1 of Stone & South Condos by CaraCo Development Corporation is open, we visited Gananoque to learn more about the project, the neighbourhood, and the St. Lawrence River lifestyle. 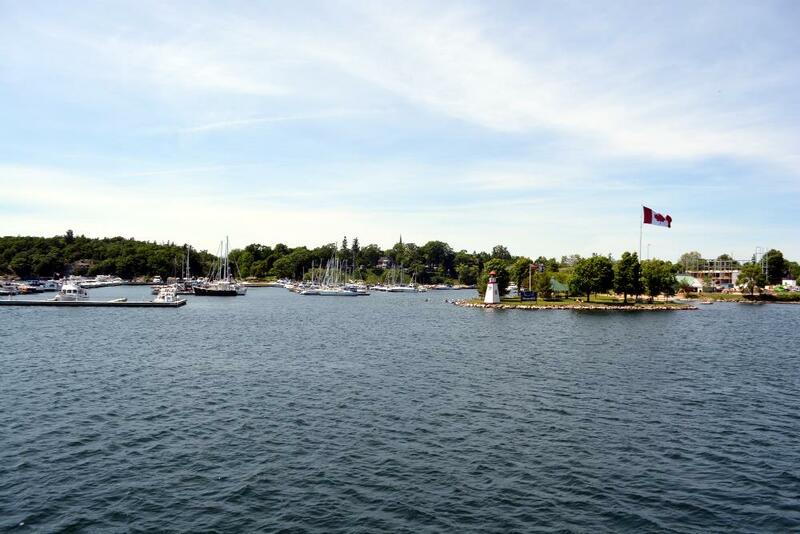 We jammed about a week’s worth of activities into a day and a half, so we got a real crash course in what life’s like in the small town known as the Gateway to the Thousand Islands (there are actually 1,864 islands peppering the St. Lawrence in this area). First of all, life in Gan is all about the riverside, so it’s a good thing that Stone & South is right on the water, steps from the historic Gananoque Inn, where we stayed for the evening. When we say “right on the water” we mean right on the water. In the Greater Toronto Area, “on the shore” could mean a short walk or drive from the water. At Stone & South, you can secure a boat slip with your suite purchase. The boat slips come in three sizes; 30’, 35’, and 40’. We had the opportunity to dine with Gennaro DiSanto, CEO of CaraCo Development Corporation, at Riva Restaurant, arguably the highest rated restaurant in town (if a 4.4 on Google and 230 reviews mean anything to you!). At dinner, DiSanto said they are on track to build approximately 35 slips, since it’s looking like half of the purchasers have committed to a slip (there are 70 suites total, split between two six-storey buildings, all with water facing views). 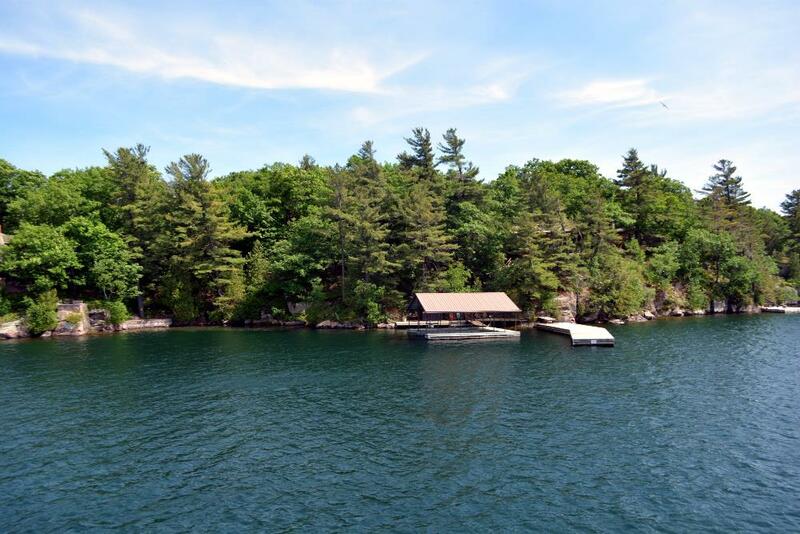 DiSanto continued, saying there have been predominantly two types of buyers at Stone & South; active retirees who want to fish and go boating, and families from the GTA who are looking for a weekend/summer getaway that doesn’t require them to drive three hours north into cottage country with every other family in the GTA. Mariah Hamilton, Regional Director, Marketing & Business Development, Milborne Group, is managing the sales at Stone & South, and she said there have also been a few purchasers who were born in Kingston or Gan, moved to the GTA, but now are deciding to move back. Gan has a small town feel and strong tourist season in the summer, and it’s definitely becoming a trendy spot for new businesses. 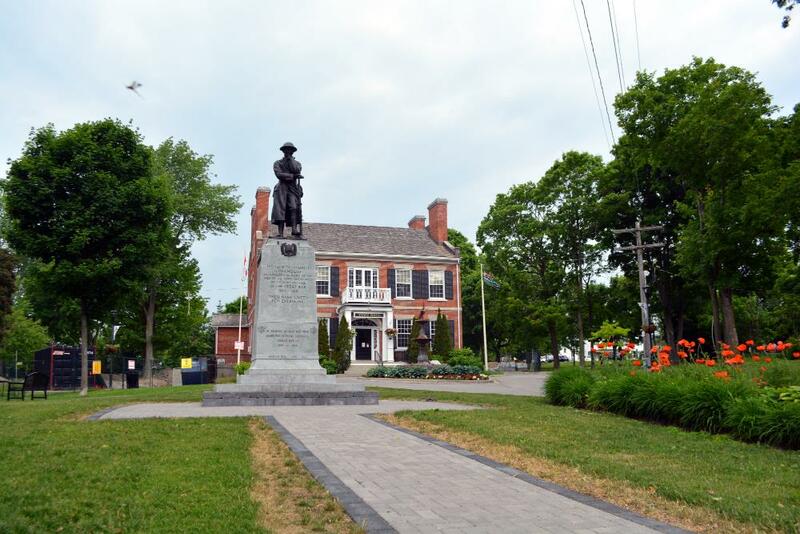 We toured the Gananoque Brewing Company facility, which is right next to the Stone & South Discovery Centre, and right across the street from the stunning Town Hall and tourist centre. The Brewing Company moved in seven years ago, transforming an historic stone manufacturing facility into a state-of-the-art brewery. With a selection of interesting beers and a couple clever loyalty programs, the Brewing Company has become a staple on the main strip, a place where friends can meet for a drink and take in live music on Saturday afternoons. 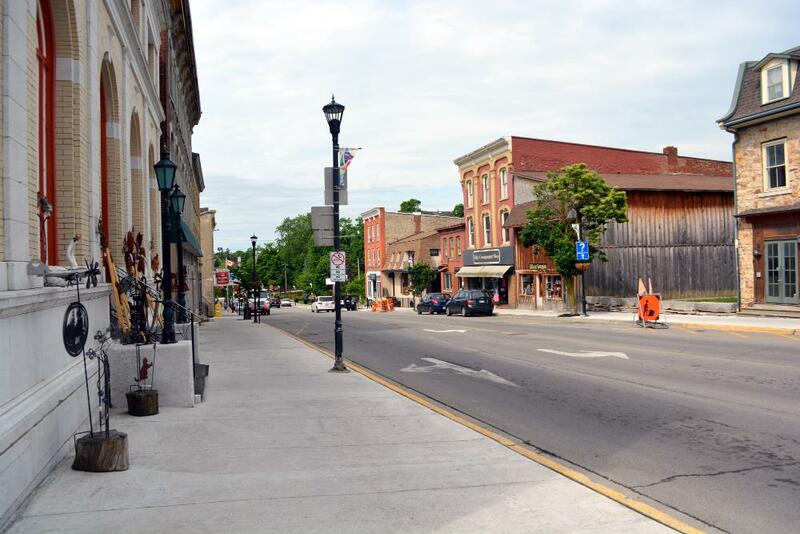 There are also a few new restaurants, museums, art galleries, parks, trails, spas, salons, and bed & breakfasts, all within walking distance of Stone & South. While we were walking along the main strip, we kind of got a Stratford vibe. Gan doesn’t quite have as many shops and restaurants as Stratford, but we can see it getting to that point in a few more years. We also had the pleasure of attending the 2 Pianos, 4 Hands performance at the Thousand Islands Playhouse Theatre. The two pianists performed to a packed house, and we got the impression that everyone kind of knew each other based on the conversations going on around the room. The general feeling we got was Gan is a tight knit community, but they’re open to growth and welcoming it with open arms. 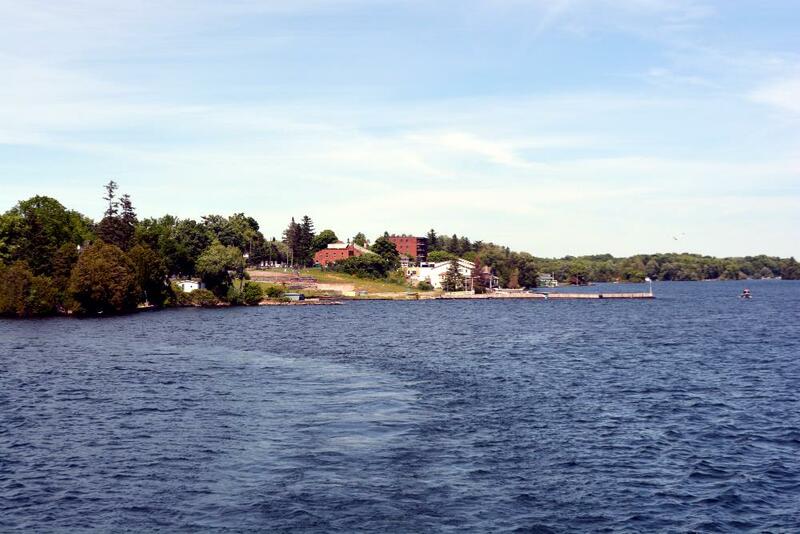 The future of Gan is bright as a weekend getaway, a summer destination, and a beautiful place to call home. Phase 1 of Stone & South features 41 suites, all two- and three-bedroom plans, ranging from 913 to 1,570 square feet. 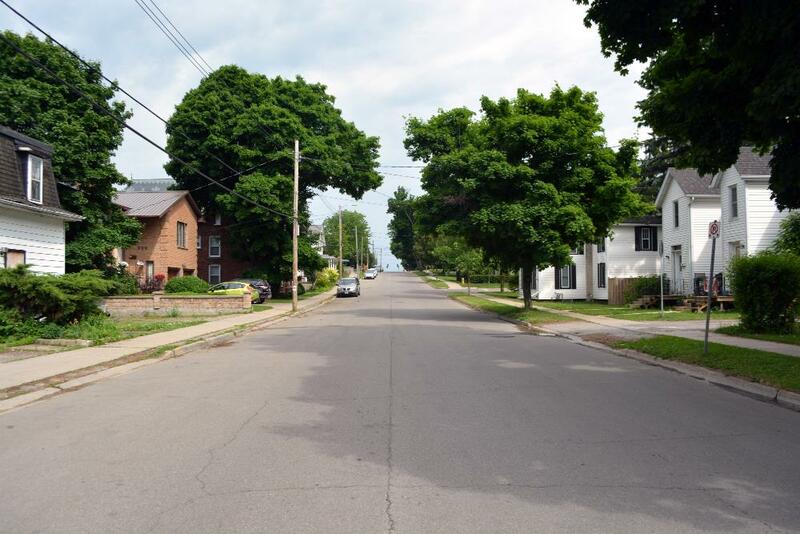 “The plans are to start construction this fall around September/October. We have to do some work on the seawall, we have to do some work in terms of removing some soil from the site…and once both those stages are complete, then the actual construction of the buildings will start,” said DiSanto. A few of the impressive features and finishes include engineered hardwood flooring, 8’ deep balconies, custom designed kitchens with a wide selection of Shaker-style cabinetry, stainless steel appliances, ceramic tile, and your choice of granite or quartz countertops. While we toured the presentation centre, DiSanto and Hamilton said they have had some purchasers make special requests for specific interior upgrades, and CaraCo is open to working with purchasers to source materials for your dream home. CaraCo can even make adjustments to the layout (depending on the request). 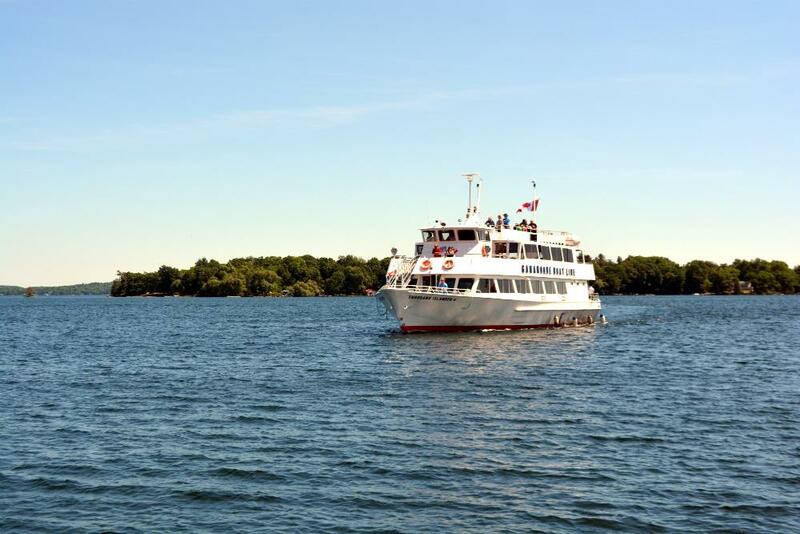 In addition to the boat slips, Stone & South offers a wide variety of building amenities, including an entertaining lounge with a kitchen, dining, and games room, barbecue areas, a private off-leash dog park, a fitness centre, storage for bikes, canoes and kayaks, and a swimming dock! To learn more about Stone & South Condos in Gananoque by CaraCo Development Corporation, visit the Discovery Centre at 5 King St. East in Gananoque. The hours are Tuesday to Friday from 11 am to 5 pm and weekends from 12 pm to 5 pm. You can also call 613-876-2524 for more information.